The third and final entry in Omnitrend's series of sci-fi adventure/RPG hybrids, with some of the most detailed world-building computer gaming has ever seen. 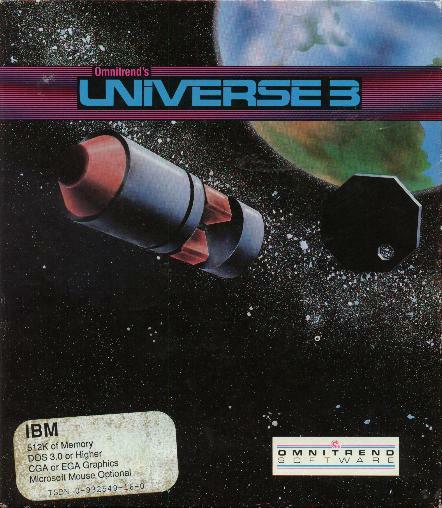 Each Universe game involves command input for a significant portion of gameplay, although this one employs menus rather than typing in the command interface. These were top-of-the-line RPGs in their day, and retailed for $69.95 - $79.95 (still not as pricey as Sierra's Time Zone). They're moderately difficult to find nowadays, but rarely seem to fetch more than they originally did 15 years ago.